Since 1970 VGB has collected data based on standardized definitions, calculation methods, and recording procedures. With the liberalization of the energy markets the technical and economic assessment of power plants has gained more and more in importance. Intensifying the co-operation between Eurelectric and VGB it was decided to merge both associations’ data collection for the availability and unavailability of power plants. Since 2008 the data of Eurelectric ́s TherPerf-Report and VGB ́s KISSY-Report has been presented in one common report. 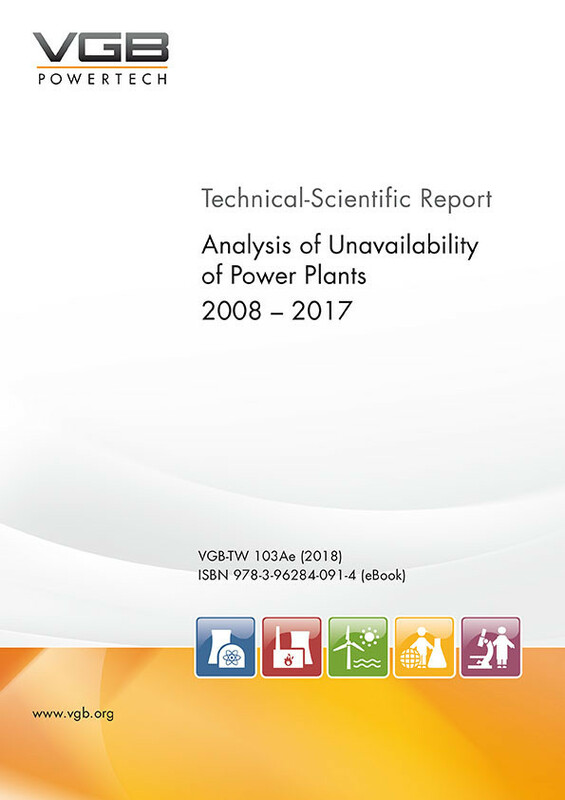 This report provides information about the availability, utilization and analyses the unavailability of components of thermal power plants all over Europe in order to compare the quality of power plants and to assess plants ́ behavior in daily operation. Reasons for unavailability have been collected since 1988 in order to identify and to assess the root cause (systems and main components) and to give hints to countersteer. But power generation in Europe changed substantially over the last decade. The development of renewables, the generation decrease of conventional power plants, the different energy policies, and the general development of the electricity market enhance the need for more knowledge in details, responsiveness, and effective tools to help taking the right decisions. eBook: Einzelplatzlizenz, PDF-Datei ohne Druckfunktion und mit persönlichen Kundensignatur.